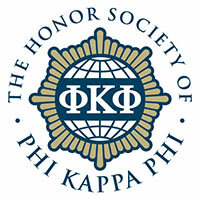 The Honor Society of Phi Kappa Phi is the nation's oldest, largest, and most selective all-discipline honor society. The Society inducts approximately 30,000 students, faculty, professional staff, and alumni every year. Once inducted, Phi Kappa Phi members gain a lifelong passport to a global network of academic and professional opportunities. The Society's mission is "To recognize and promote academic excellence in all fields of higher education and to engage the community of scholars in service to others." The Wright State University Chapter (#252) was chartered in Spring 1990 and has since welcomed into membership nearly 3,000 juniors, seniors, and graduate students from all majors who ranked near the top of their classes. Review the Frequently Asked Questions below, then feel free to contact a chapter officer with questions. What is Phi Kappa Phi? Founded in 1897, The Honor Society of Phi Kappa Phi is the nation's oldest, largest, and most selective all-discipline honor society whose chief purpose is to reward and recognize scholarly achievement in all majors and disciplines in the university. Because Phi Kappa Phi's standards for election are highly selective, membership is a stamp of excellence that is recognized by graduate and professional school admissions committees and employers alike. Phi Kappa Phi is much more than a line on a résumé; it is a 100+-year-old honor society comprised of the best and brightest from all academic disciplines. How are members elected to the WSU chapter? Membership is by invitation only. Each fall the WSU Chapter invites to Phi Kappa Phi membership the top 7.5% of juniors and the top 10% of seniors and graduate students, based on cumulative GPA and class ranking. Invitations are sent in August. For more details, please contact a chapter officer. New initiate membership dues for the WSU Chapter are $70.00 for the first year. This amount covers initiation fees and first year dues to the Society, as well as local chapter fees for the induction ceremony. Thereafter, annual membership dues are $35 per year, plus $5 in optional chapter dues. Visit the Society’s Membership Renewal web page for additional membership options. Recognition for academic achievement by the nation’s oldest, largest, and most selective all-discipline honor society. Career assistance to post résumés, search newly listed position openings, and manage job applications. Opportunities to apply for awards and scholarships valued at more than $700,000 per year. Partner discounts on certain products and services. Society publications such as the Phi Kappa Phi Forum. Networking, training, and leadership opportunities. Visit the Society's website to learn more about the benefits of membership. How do I get my member number? Your member number is assigned at the Society's Headquarters. Following the fall induction ceremony, your membership information is forwarded to Headquarters and entered into their database. A membership card will be sent to the address you provided during the Online Enrollment process. To inquire about your membership status, call the Society Headquarters at 1-800-804-9880 ext.11 or email members@phikappaphi.org. What will being a member mean to me after graduation? 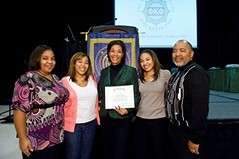 Phi Kappa Phi recognizes excellence. Membership in the Society carries with it the respect of your academic faculty and advisors, family, friends, peers, and employers. You may find membership in the Society increases opportunities for future employment and offers an advantage because others know that Phi Kappa Phi members represent the very best and brightest higher education has to offer. When does the WSU chapter hold its initiation? The WSU Chapter holds its initiation ceremony each fall, usually a late afternoon or evening in November. Approximately 200 people attend, including faculty, staff, and guests of the new members. The format is similar to a graduation ceremony and includes a reception. The initiates are seated together, and each initiate’s name is called to receive a membership packet, which includes the Society emblem and a certificate. 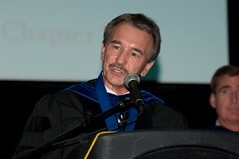 Business or business casual dress is appropriate; caps and gowns are not worn. The event lasts approximately one hour. Is attendance required at initiation? Attendance is not required but strongly encouraged. You have earned this special recognition! 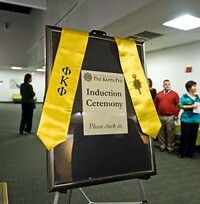 Where can I purchase a stole or other Phi Kappa Phi memorabilia? All Phi Kappa Phi merchandise is available through the Society's website. A member number and password are required. Call 1-800-804-9880 x10 for assistance. How do I claim my membership packet if I missed the initiation ceremony? If you cannot attend the ceremony, your membership packet may be picked up in the University Honors Program office in 243 Millett Hall. Packets are not routinely mailed but will be mailed upon request by inductees who do not reside locally. Packets are held for approximately one year from the initiation date and then discarded. How can I transfer my membership from another institution to WSU? If you were inducted into Phi Kappa Phi at another institution, you can transfer your membership affiliation to the WSU chapter by completing a Reactivation/Transfer of Membership Form. The form allows you to renew your dues if needed and provides a contact at the Society's main office to start the membership transfer process.